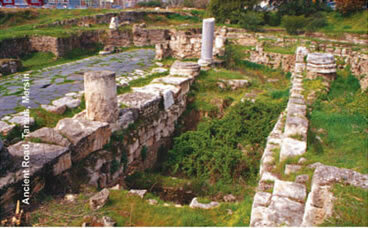 Mersin, an important settlement on Turkey'ssouthern coast, was visited by St Paul during his second journey. By travelling along the roads that took him through Tarsus, Silifke and Mut, you see the Places where he was born and where hi lived as well as the churches dating from the early Christian saints. 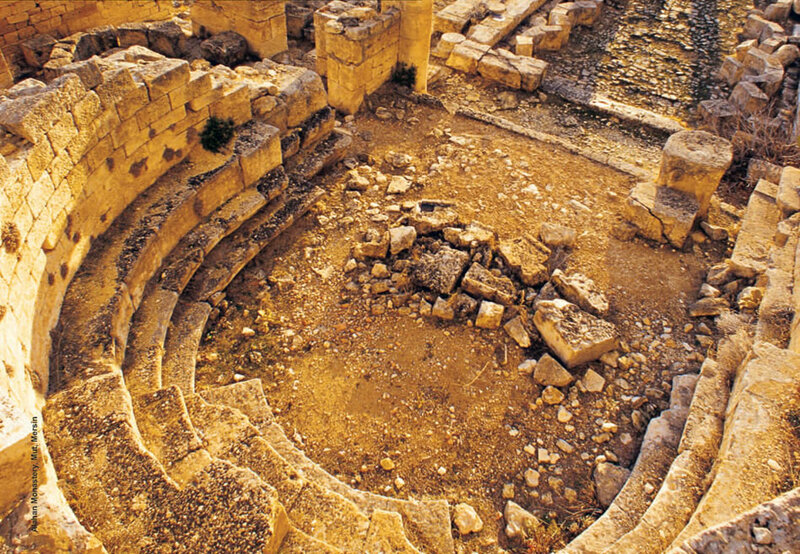 Tarsus is an important place from the point of view of Christian history because it was St. Paul's birthplace and he is named as Paul of Tarsus in the Bible. It is included provisionally on the UNESCO World Culture Heritage List. Among the places that should be top of the list to visit in the year of St. Paul are the Church of St. Paul and St. Paul's Well and its environs. Tarsus was from time to time a refuge for St. Paul after he had accepted Christianity and started to work on its promulgation. He was brought to Tarsus when his teaching of Christianity in Jerusalem so upset some that they wanted to kill him and he had to escape. Another significance of Tarsus for Christians stems from the fact that along with Antakya it is one of the places from which St. Paul chose to set out on his long journeys in the cause of Christianity. Served as a monument museum today, the Church of St. Paul is located in the Ulu Cami quarter. The church dedicated to St. Paul was originally built in the 11 th and 12th centuries A.D. and underwent major renovation in 1862. There are frescoes depicting Christ and the Four Evangelists with Angels on the roof. The church is an important place of pilgrimage for Christians and in 1992-93 it hosted the "Saint Paul Symposium and Ceremony" organised by the Vatican. An important place of pilgrimage for Christians. It is located in what is thought to be the courtyard of St. Paul's house in the Kizilmurat quarter close to the Cumhuriyet Meydani (lit. Republic Square). The water level never drops and the water is believed to be sacred with healing properties. The road used by St. Paul on his Journeys and when he lived in Tarsus is an ancient road of basalt stone that has survived to this day. 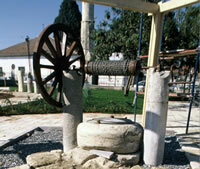 It is located in the Cumhuriyet Mevdani, 300 m south of the well's courtyard. By stepping onto this ancient road, it is possible to travel in time to the years St Paul lived. 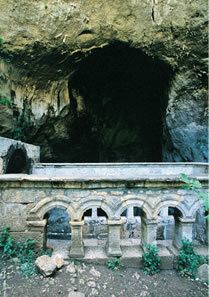 Situated 20 km from Silifke is Narlikuvu where there are the remains of a church dating to the early Christian years and a natural wonder known as the wells of heaven and hell. The church was constructed in 4th and 5th C. A.D. and used the remains of a much earlier Temple of Zeus that had existed on the same site. It is located on the north side of the Well of Heaven. The inscription on the entrance to another church in front of the cave in the Well of heaven reveals that it was dedicated to the Virgin Mary by a pious man named Paulus. These two churches stand as monuments to the victory of Christianity over pagan beliefs. This victory undoubtedly is in no small part down to the efforts of St. Paul. There are several churches that were built in dedication to St. Paul in the places in which he stayed during his journey or along his route. The Alahan Monastery has been placed on the provisional list of UNESCO World Cultural Heritage amongst churches and cross structures. Amongst the fine examples of craftsmanship exhibited in the 7th C. A.D. Churches of the monastery are depictions of: St. Paul together with St. Peter. the Evangelists and the Archangels Gabriel and Michael. Although the climb to the top of the hill on which the monastery is situated is a bit difficult it is all made worthwhile by the impressive view from 1200 m of the Göksu Valley. If just seeing the valley isn't enough and you want to travel a few kilometres further there are rockcut churches and churches decorated with geometrical floral designs of various colours in the valley. We also recommend that you visit whilst here Maya village, part of Mut district where there is an underground church in the valley known as the Renkli (lit. colourful) Church because of the red anti green tones which it has been painted.